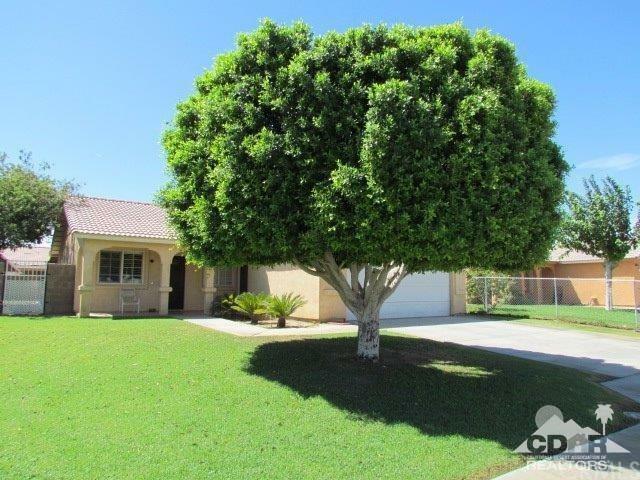 Updated/Remodeled, Well maintained property located in a desirable area in Coachella, This property has beautiful lush landscaping, the interior of this property has been upgraded, this home is turn key ready. Beautiful kitchen with a breakfast slide plus granite counter tops, great backyard for entertaining guests with a built in porch perfect for relaxing, surrounded by a block wall, plantation shutters and much more .. Must See!! a Great Buy in a Great area. Sold by Idelma Nunez of Realty World Coachella Valley.